Fayetteville is located in northwest Arkansas and is one of 5 big cities in the northwest Arkansas region. 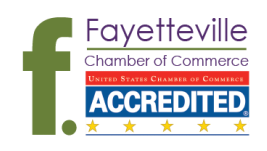 Fayetteville MSA currently enjoys a vibrant economy with rapid population growth, increasing jobs creation, low unemployment rate and excellent quality of life amenities. An estimated 30.6% of residents in Benton and Washington Counties will be Hispanic/Latino, Asian, African-American, Native American or Pacific Islander by 2022.